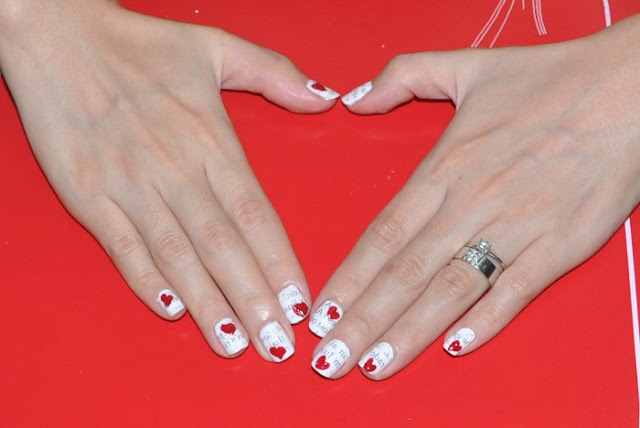 beautyamare: A Pre-Valentine Nail Art Treat! A Pre-Valentine Nail Art Treat! 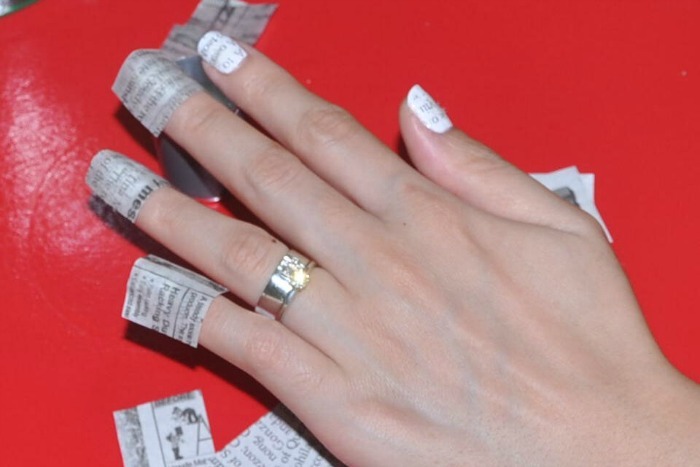 Newspaper nail art is not a new technique but most of us don't know how to do it. 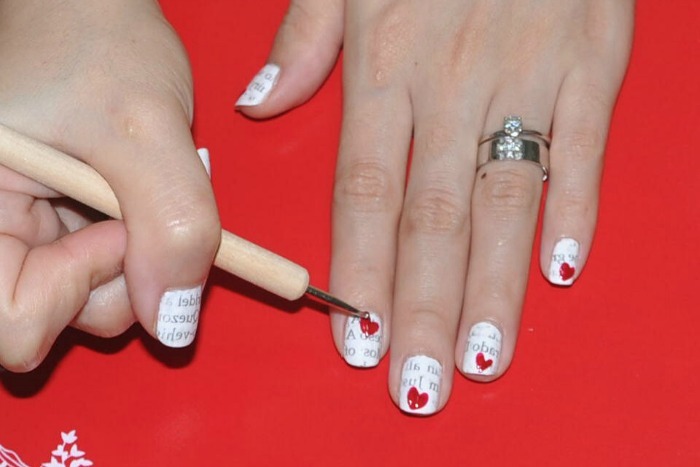 We will let you see how it is done but we will take the newspaper technique a notch higher, we'll add hearts for the upcoming valentine's day and transform it into a love letter nail art sealed with ♥ ♥ ♥ ♥ ♥!!! STEP 1. 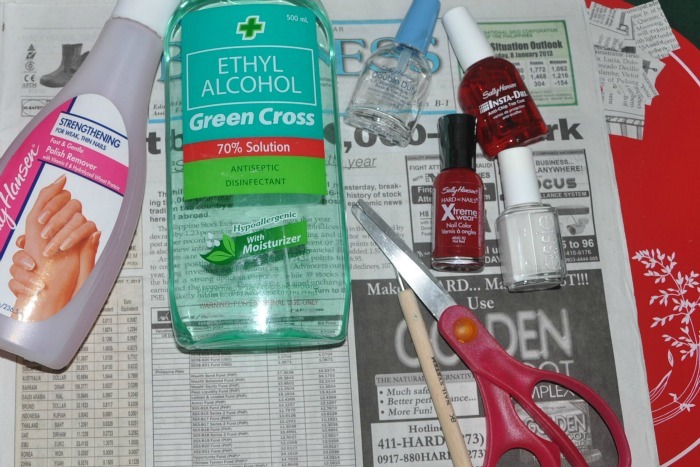 Prepare all the needed materials: newspaper cut-out, red and white lacquers, base and top coat and alcohol. STEP 2. Prep your nails by painting your base coat, this will prevent your nails from having those nasty yellow discoloration. And this will also provide a smooth canvass for your other lacquers. Once dry, paint two coats of your white lacquer. STEP 3. Get your alcohol ready, place it in a small container wherein your finger will fit. Dip your fingernail for about 15 seconds, remove and promptly place your newspaper cut-out. Let it sit there for a few seconds and remove. STEP 4.Now we are done with the newspaper technique! You can stop there if you want, but I'd like to add something special. Get your red lacquer and dotting tool or toothpick, and draw in a heart. STEP 5. Once dry, paint in your top coat to seal your design and give a nice glossy finish. Let us know if you recreated it. Post it in our Facebook page or tag us in instagram! 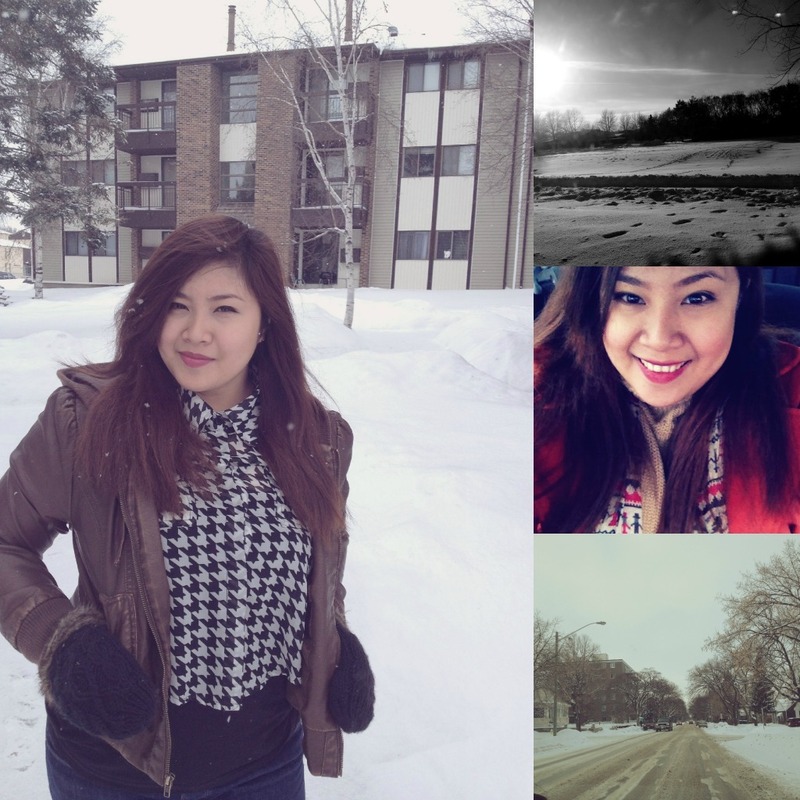 And if we have not mentioned, Mel moved to Canada for good but she will be posting reviews and other stuffs soonest.